Theanine increases brain levels of gamma amino butyric acid, a calming neurotransmitter, while caffeine decreases it. Theanine also affects levels of both serotonin and L-dopamine neurotransmitters in the brain. Serotonin is one of the major mood-enhancing neurotransmitters, and dopamine is our “reward” neurotransmitter. By shutting down the “worry” mode and increasing the ability to concentrate and focus one&apos;s thoughts, as measured by increased generation of brain alpha waves, some believe that theanine even makes learning easier. Tea taste varies from teas to teas. Some feature for their own fresh tastes like Longjing tea, some are famous for their mellow taste or thick mouthfeel, as in the case of Puer tea. Psychological and physical differences also vibrate our personal bias for or against a kind of tea. Some people often use words “sea sedge” “chicken soup” “summer grass” to describe a kind of tea they first met. How strange and complicated! But one thing is clear. 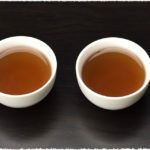 Amino acid included in tea has connection with that. We more or less know amino acids which are not unfamiliar for all of us and can be found in milk power, health food, eggs and what not. Moreover, the positive effects of Amino acids for our health are important and cannot be substituted by other things. It is estimated that there are about 1%-4% amino acid in tea leaves, 26 kinds in total (20 proteinogenic amino acids/ 6 nonprotein amino acids). Among them L-Theanine, Aminoglutaric acid, Asparaginic acid, Arginine are most common. When tea plant grows, it always needs Nitrogen which is assimilated by roots and transported into others parts of plant such as branches, leaves and buds. Day after day, year by year, along with the tea plants growth, more and more amino acids accrue to tea leaves. It is one of the substances which not only play an essential role in tea growth but also influence tea quality. Most of amino acids in teas taste fresh, and sweet, but a little part of them taste slightly tarnish. So teas with different amino acids has varied flavors, some tend to be more sweet, or more sweet even mellow. All above tastes, actually, are decided by amino acids and their own levels of distribution in teas. TP (tea polyphenol), Amino acid, Caffeineare regarded as three basic “condiments” in tea water. Different levels and proportion of them surely can make a big difference when we taking about taste and flavor of one tea. Besides, parts of amino acids have their own flavors such as sweet, sea sedge, fresh and so forth. If you have personal experience with Japanese teas and premium Chinese teas you would know this better as these teas are high in Amino acid. When buying teas, in consideration of the health effects, we should focus on those teas which are in high content of amino acid. Under this standard, there seem to be many candidates here, but I will tell you one tricky by which you can find what you really want. As a side note, this trick is not absolutely right, but in most cases it does well. That is “more furs, more amino acid”. Now, I will tell you why we think teas with more tiny furs are in high amino acid. Have you ever seen a layer of silver fur(some newbies may call it dust) floating on the surface of tea water? Those tiny furs are not dust, of course, which grew along with fresh tender leaves till we harvested and processed them, later, became an essential part or “measurement” of quality for some teas. The more furs they have, the more amino acid they contain. Actually, some Chinese teas are famous for those tiny things and named after them, like Longjing tea and Silver needle tea. So, next time, when you go to tea store, check them carefully to ensure that you will not get the real dust. The distribution and amount of amino acid in teas are heavily affected by its species, growing environment, cultivation/proceeding methods and such, in the final analysis, abided by its own physical/chemical property. Species of tea plant: Statistical study shows that small leaf species contains more amino acid than big leaf species and that Tender young leaves/buds tend to be high in amino acid too. 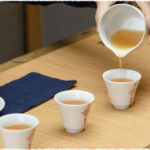 It’s no surprise that there are lots of people stick to tender teas, feeling that tender tea is the best – – though may be a little bit partial here, it makes sense anyhow. Cultivation environment: Generally, high annual temperature and strong sunlight is against the accumulation of amino acid in tea leaves. On the same latitude, teas come from high altitude mountains have higher content of amino acid than low altitude teas. This is one of the reasons why there is an expression says “high mountains wreathed in clouds produce good teas”. In Japan, tea farmers often overshade their tea trees in order to make them accumulate more amino acid and have a good taste. 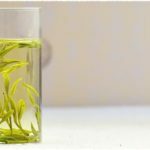 Different proceeding methods also make difference, among all the six basic teas, non-fermented green tea and fermented tea are high in amino acid, mainly because of their own preceding methods. For green tea, there is no fermentation process happened during the whole process so a large amount of amino acid naturally formed when grows, in contrast, the accumulation of amino acid in dark teas heavily depends on microorganism. L-theanine (also known as just theanine) is an amino acid found in tea, since ancient times, it has been said that drinking green tea brings relaxation. The substance that is responsible for a sense of relaxation is Theanine. Theanine increases brain levels of gamma amino butyric acid, a calming neurotransmitter, while caffeine decreases it. Theanine also affects levels of both serotonin and L-dopamine neurotransmitters in the brain. Serotonin is one of the major mood-enhancing neurotransmitters, and dopamine is our "reward" neurotransmitter. By shutting down the "worry" mode and increasing the ability to concentrate and focus one's thoughts, as measured by increased generation of brain alpha waves, some believe that theanine even makes learning easier.